The key to the Saints offense will be the battle at the line of scrimmage. 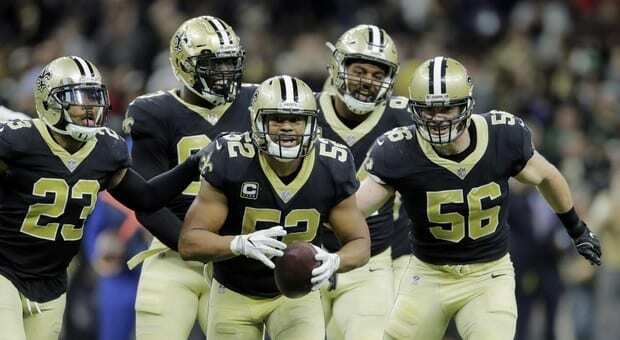 The Saints bring in the league’s 6th best rushing attack and the Rams defense allowed the league’ most yards per rushing attempt. In week 9 Alvin Kamara rushed for 82 yards and 2 touchdowns and Mark Ingram pitched in 33 yards. The Rams allowed over 100 rushing yards in each of the last 5 regular season games before selling out to stop the run last week against the Cowboys. Does this matchup on the ground mean you should bet on the Saints? See Keith Allen’s breakdown and pick. 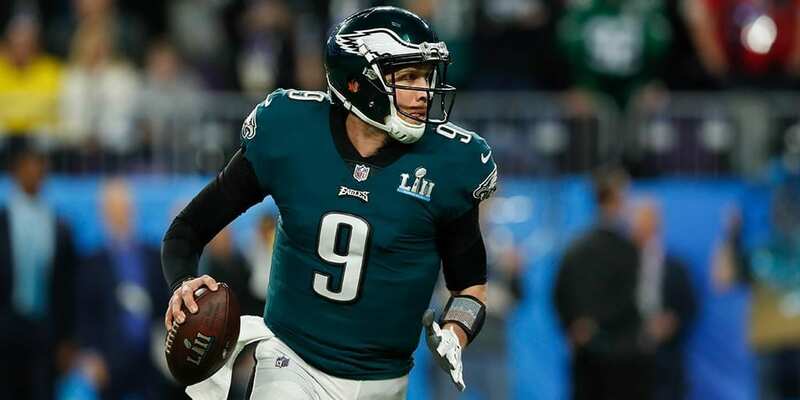 The defending Super Bowl champion Eagles come to New Orleans this Sunday to take on this year’s favorite to take home the Lombardi Trophy. It’s a rematch of week 11. Will the result be the same? Read Keith Allen’s NFL Football pick! Julian Edelman is the likely target for Brady. In the last four games he has been passed to 39 times, which has resulted in 27 catches including three touchdowns. Unfortunately he has also had a recent run of penalties and dropped passes. 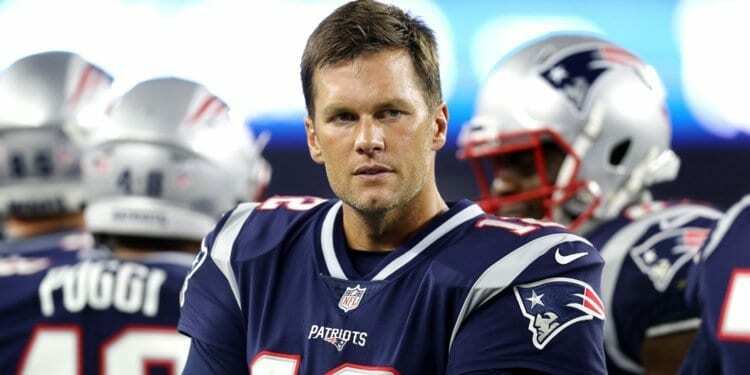 Mike Mann looks closer at the Pats offense and offers his NFL playoff selection on the Los Angeles Chargers versus the New England Patriots. Most online bookies are offering Pats at -4. See Mike’s pick! While the Cowboys will be trying to end their NFC Divisional drought, the Rams will be trying to overcome a similar historical hurdle. Los Angeles is making just their 4th postseason appearance since 2001 when they lost to the New England Patriots. The Rams are also winless in the Divisional Round of the playoffs going 0-3 in the previous 16 seasons. Which team can shed the monkey from their back? 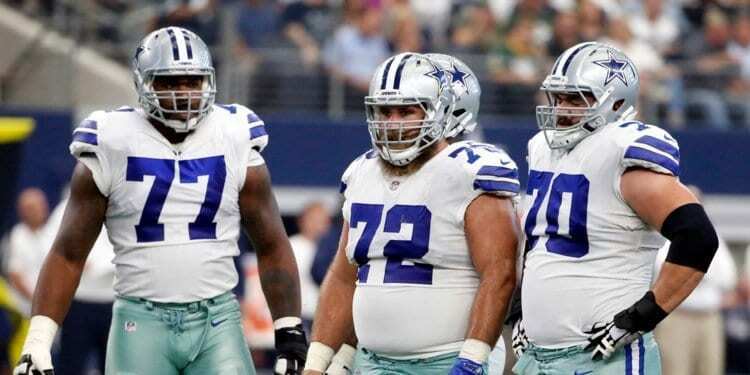 Dallas backers have 7 points to work with and Jay Horne has your NFL pick! The AFC Divisional Playoffs kickoff Saturday afternoon with the Indianapolis Colts traveling to Kansas City to battle the Chiefs. Online Sportsbooks opened the Chiefs around -4.5 but since the line has reached as high as 6. Are the Colts ripe for a dog bet as the public continues to bet the line north? Mr. Allen has the breakdown and NFL pick! The LA Chargers take on the Baltimore Ravens Sunday, January 6, 1:05 PM EST at M&T Bank Stadium, Baltimore. Football Handicapper, Keith Allen analyzes the game and gives his free pick. Wild. Card. Weekend. For many fans these are some of the most fun games to watch… and bet on. The Philadelphia Eagles visit the Chicago Bears Sunday at Soldier Field. Ted Walker has your NFL football pick. The NFL playoffs will kick off this weekend highlighted by a primetime NFC Wild Card pairing this Saturday when the Seattle Seahawks travel to AT&T Stadium for a date with the Dallas Cowboys. The Seahawks won the earlier meeting at home 24-13 crushing the -1 point spread line, Can they do it on the road against a Cowboys team that has some new weapons in the passing game? The line is unlikely to come into play so picking the winner correctly probably gets you the money. Read what side of the betting line our handicapper is playing and why. The Indianapolis Colts travel to take on the Houston Texans in the first game of WildCard weekend. This will be the third meeting of the season for the AFC South rivals who split the first two with each team winning and covering on the road. Many betting boards opened the Texans at -2.5 but the line has drifted down to -1.5 at most betting shops so who is the team to bet? Get Keith Allen’s expert insight on the game and his predicted point spread winner. Loot Levinson has a Week 17 pick on the Los Angeles Chargers vs. Denver Broncos. Kick off is Sunday, December 30, 2018 at 4:25PM EST at Mile High, Denver, Colorado. Most bookmakers had the Chargers open inside a touchdown at around 6.5 points. The Philadelphia Eagles take on the Washington Redskins and Loot Levinson has your NFL Week 17 prediction! The game kicks off at FedEx Field Sunday, December 30, 2018 at 1PM EST. The Eagles are favored by 6.5 points in a game that features two teams headed in opposite directions. Loot Levinson has an NFL Week 17 pick on the San Francisco 49ers vs. Los Angeles Rams game which kicks off Sunday, December 30, 2016 at 4:25PM EST at Los Angeles Memorial Coliseum. 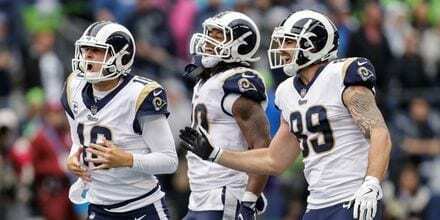 Online bookmakers have opened the Rams in the neighborhood of -10. LL breaks it down and offers his prediction! 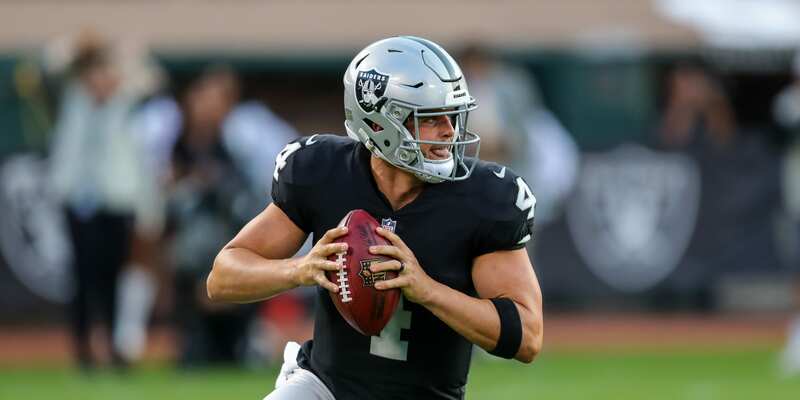 The Oakland Raiders have the Kansas City Chiefs on Sunday December 30, 1:00 PM EST and Keith Allen has your NFL week 17 pick! Bookies have the Chiefs as big home chalk here at 13.5. Can the Raiders do out on a high note or at least stay within the two touchdowns? Check out the Allen Analysis! The Minnesota Vikings host the Chicago Bears in a “must-win game” for the host. The Viks are in a “win or tie and you’re in” position. The Bears have secured the NFC North crown and have an outside shot at the NFC No. 2 seed with a win and an upset road win by the 49ers over the Rams. The NFL board shows the Vikings as a -4.5 point spread favorite with a total line of 40.5. First-year Bears coach Matt Nagy says that he won’t rest players but some nicked up players are unlikely to be pushed into action making this game a tough call for most? Not our handicapper Ted Wilson. Read on to get his spread winner. The Pittsburgh Steelers host their AFC North divisional rival the Cincinnati Bengals in a must-win Week 17 game for the Steelers. Kick off for the game is scheduled for 4:25 PM ET at Heinz Field on Sunday, December 30th 2018. The NFL odds board has Pitt as a large 14.5 point spread home fav with the O/U total line offered up at 44.5. Predictem football capper Keith Franks digs into the line and gives out his best value play. The Arizona Cardinals come to CenturyLink on Sunday to face off with the Seattle Seahawks in NFC West action on week 17. The Seahawks have clinched a spot in the playoffs and don’t have much to play for and the Cards are looking to end their season on a winning note against a divisional foe. Arizona gave Seattle all they could handle back in September game in the desert, but can they get it done with a 2nd string offensive line and a run defense that has been ripped for 484 yards in their last two! Check out Loot’s take on the game and whether he’ll be taking or laying the 13.5 point SEA handicap.